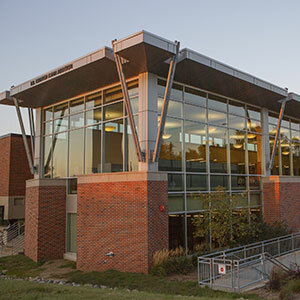 The Libraries fulfill the UNO mission through our dynamic services, highly qualified and adaptive personnel, unique and extensive collections, and accessible learning spaces and environments. Priority 1: Foster a library culture of innovation, creativity, diversity, and accessibility. For our priorities and goals to succeed, the library must support a skilled, collaborative, and welcoming workforce. Goal 1: Support professional development, continuing education, and a culture embracing positive change. Goal 2: Exceed UNO’s expectations to recruit diverse students, staff, and faculty. Goal 3: Foster a sense of camaraderie among library staff and student assistants. Priority 2. Promote and strengthen partnerships and collaboration. No library can succeed in isolation. We must interact with, and seek to understand, our constituents in order to serve them effectively. Goal 1: Implement programs that support student priorities, academic initiatives, and university priorities. Goal 2: Identify, engage, and develop new partnerships. Goal 3: Support library outreach and communications to promote our collections, services, and spaces. Priority 3: Cultivate, access, and preserve digital resources and scholarship, while curating print collections. The UNO Libraries supports, preserves, and provides dependable access to a growing collection of digital assets in support of online learning and scholarship while also responsibly retaining a print collection. Goal 1: Demonstrate and expand the library’s centrality in open access and digital engagement. Goal 2: Expand and sustain our digital resources and research collections. Priority 4: Continually develop and evolve library spaces, places, services, and technology to benefit students and faculty. The UNO Libraries must assess and adapt its physical and virtual environments to meet the changing needs of its users and UNO’s strategic priorities. Goal 1: Establish library spaces to meet the needs of UNO’s students, faculty, and programmatic expansion. Goal 2: Continually assess the use, technology, and accessibility of library spaces and services. Priority 5: Expand, leverage, and sustain financial resources. As state and federal resources diminish, the UNO Libraries must seek out financial partners, prospective donors, and external funding sources. Additionally, the UNO Libraries must responsibly and sustainably manage its finances. Goal 1: Increase funding from external sources such as granting agencies and foundations. Goal 2: Create and execute a comprehensive development plan in consultation with the NU Foundation and the Library Friends. Goal 3: Assess current expenditures and make adjustments for efficiency and financial sustainability.